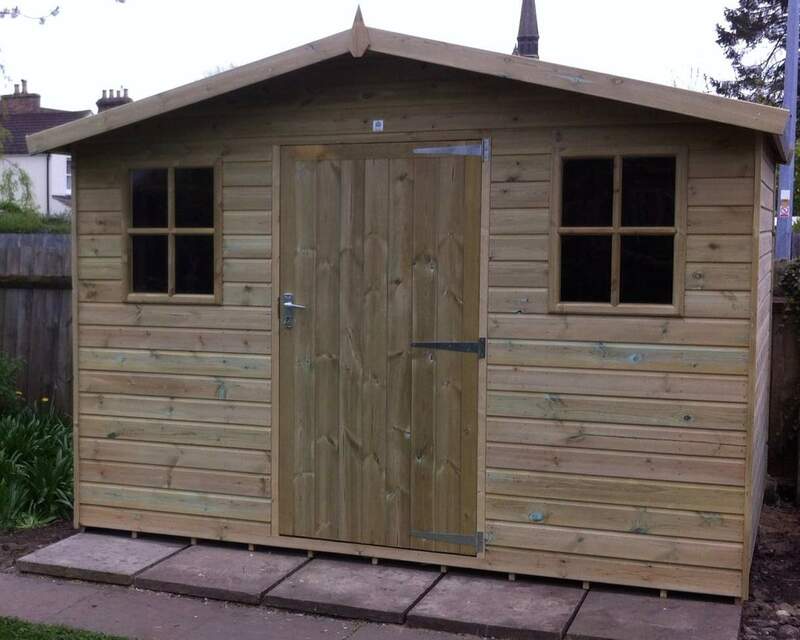 Are you in need of a 9x8 shed? Look no further. 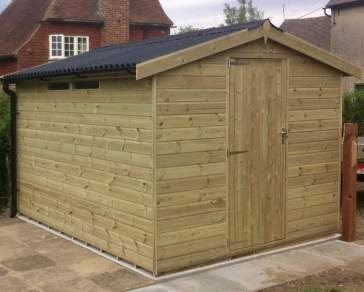 We offer a variety of 9x8 wooden sheds in different styles and designs. 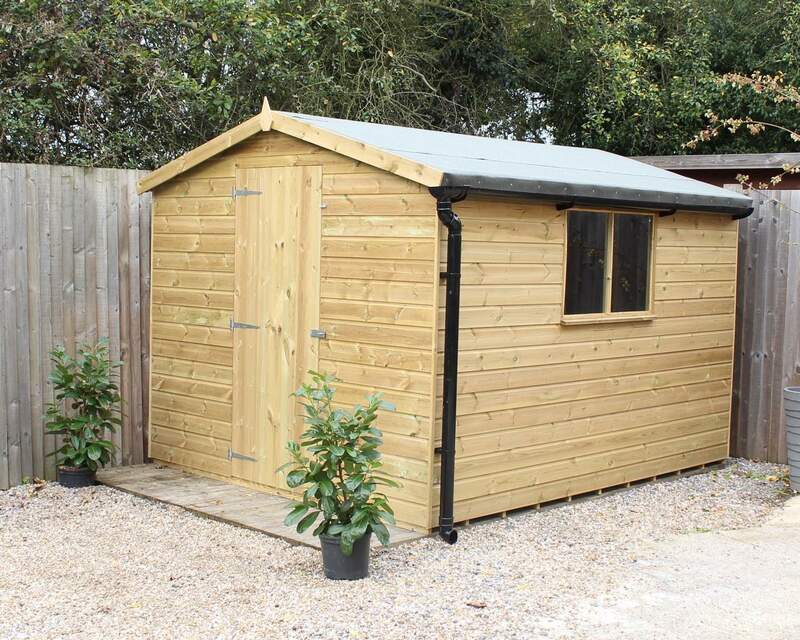 Whether you’re looking for a garden shed as a storage solution or you’re in need of a man cave or she shed, a 9x8 shed provides a dedicated space for a multitude of purposes outside of the confinements of the modern home. 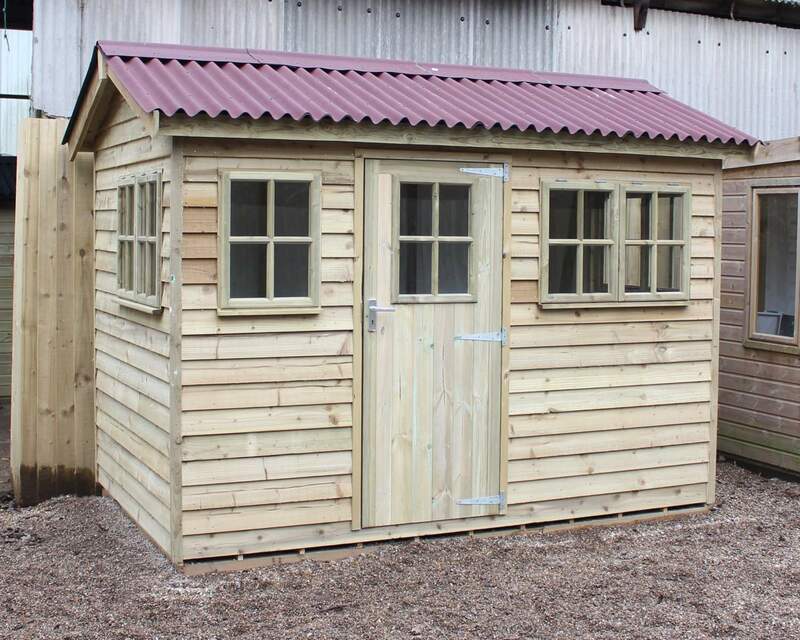 Browse our range of 9x8 wooden sheds below. 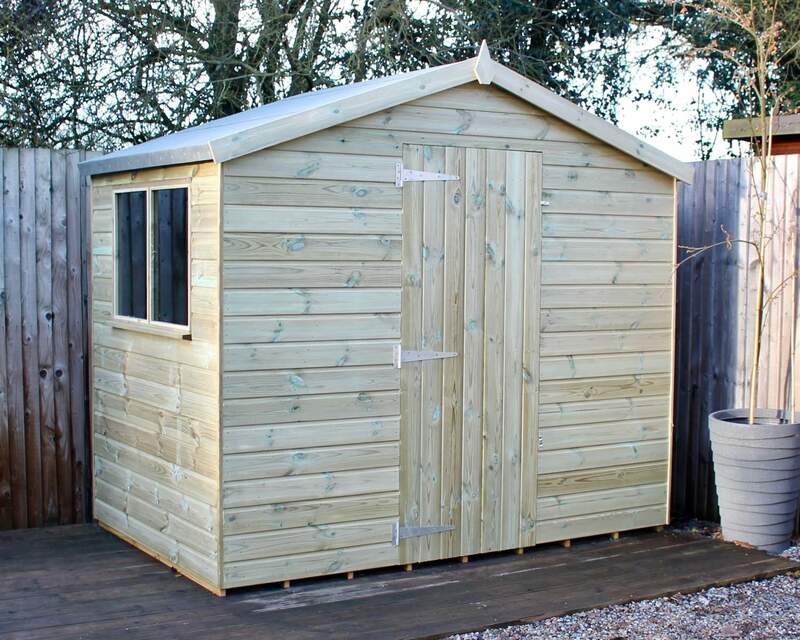 Our 9x8 garden sheds have been specially handcrafted by us in our workshops based in Ashford, Kent. We use premium quality timber sourced from Sweden, that is renowned for its durability and hard-wearing nature. To maximise functionality and prolong the longevity of your garden room, our timber goes through a rigorous pressure treatment process during manufacturing. 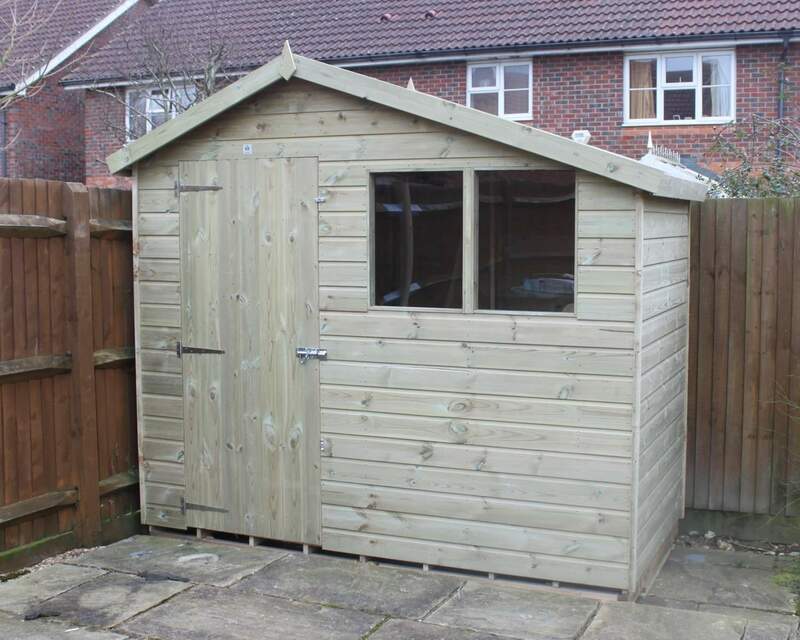 You’ll have peace of mind knowing your shed is protected from rot, damp and decay. 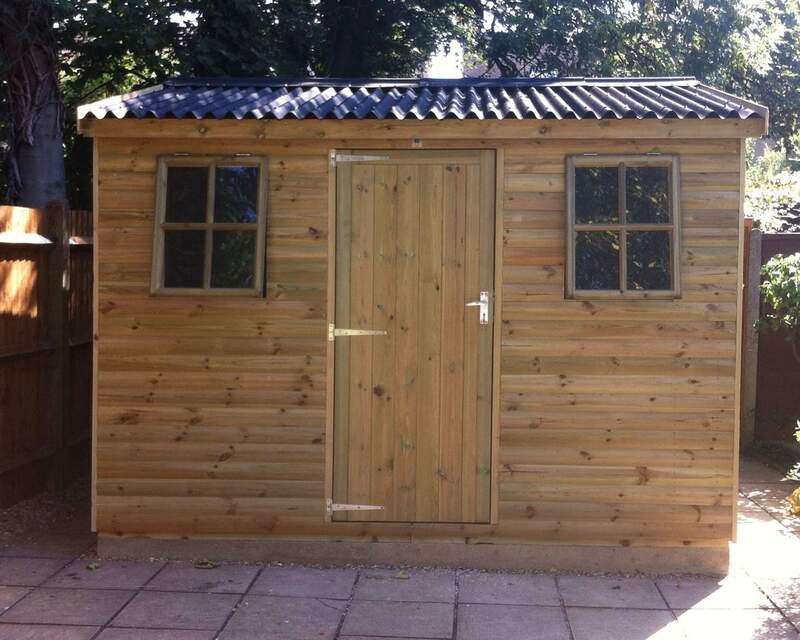 What’s more, there’s no need to worry about treating your shed once its home, it’s ready for action once installed. 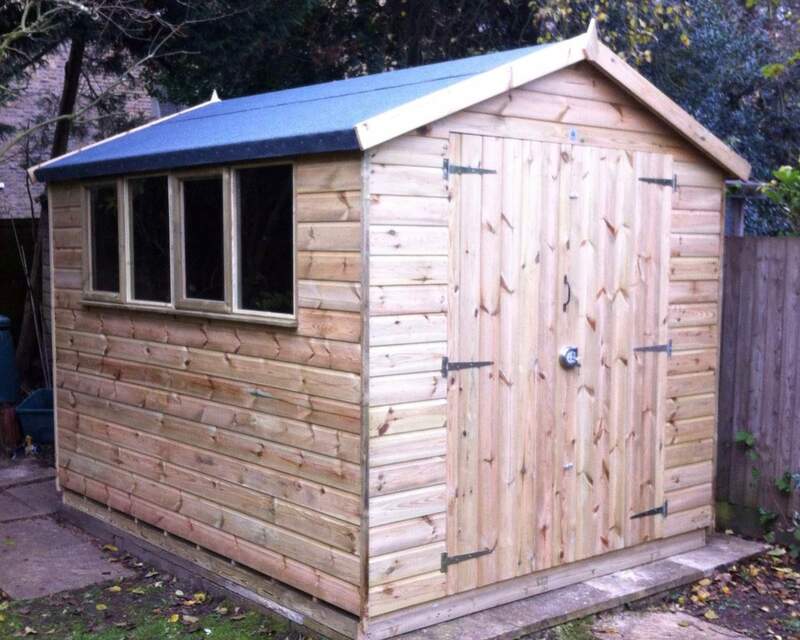 Each of our garden sheds is fully customisable. 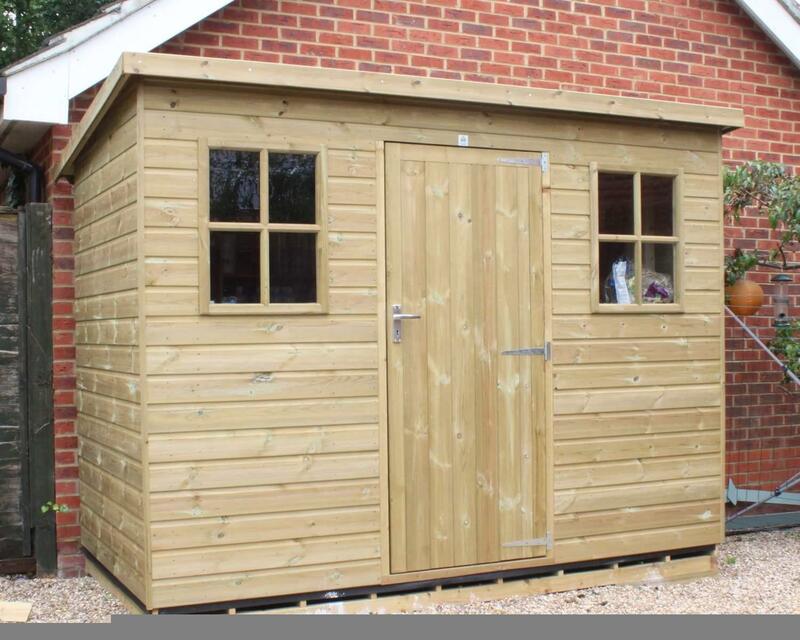 Our simple customisation process allows you to alter many elements of the wooden shed to meet your specifications and requirements. 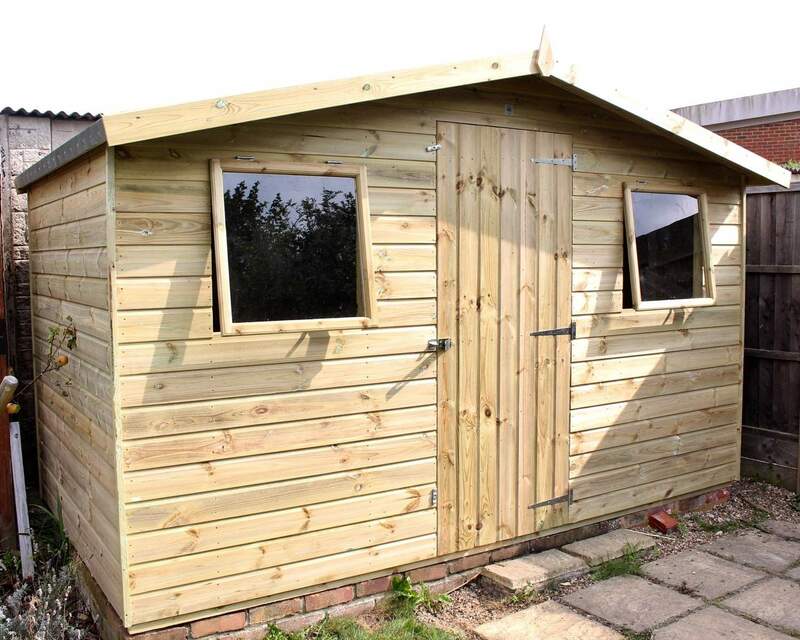 Whether it be the windows or doors, framing or cladding, or roof felt and security features, ensure your garden shed is designed to meet your needs. 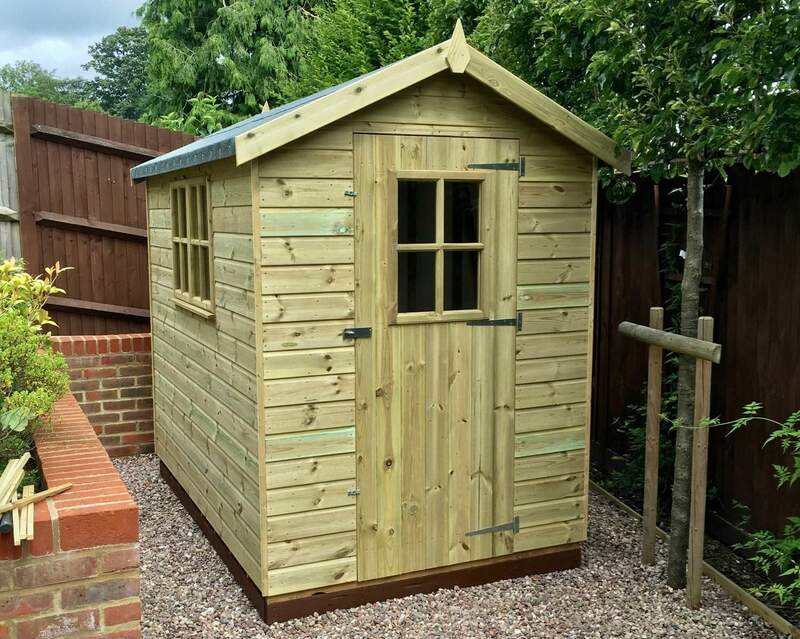 What’s more, we recognise that one shed doesn’t fit all, that’s why we are happy to create your dream garden shed from scratch. 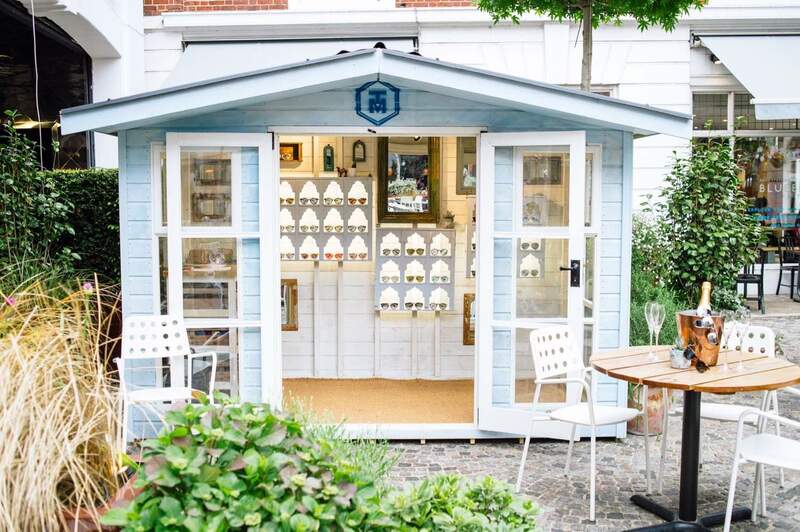 If you have some design ideas or a simple sketch of the garden shed you’re looking for, get in touch and we’ll see if we can manufacture the shed of your dreams. 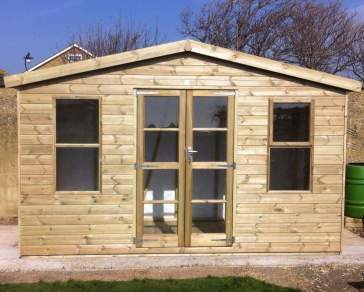 Customers in Kent and surrounding areas can benefit from free delivery and installation. 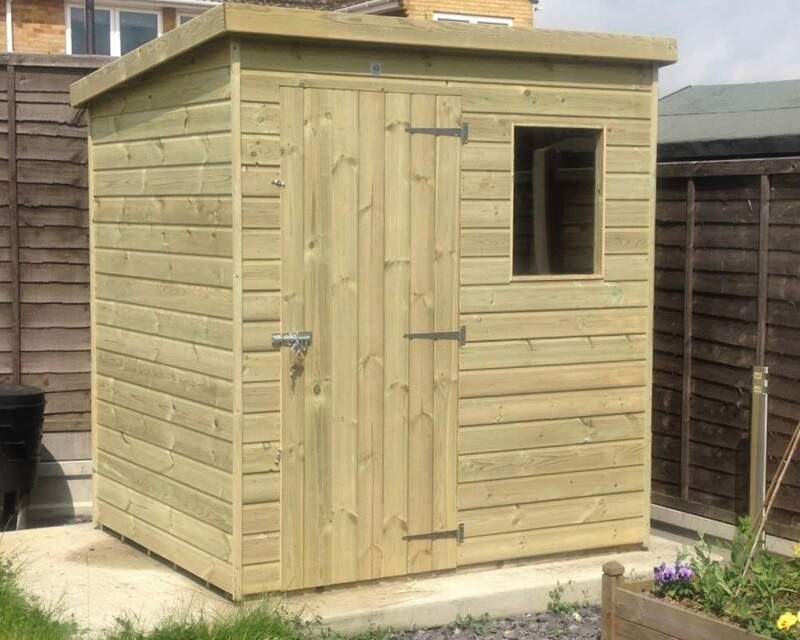 It can take between 6 to 8 weeks from the moment you place your order, to manufacture, deliver and install your garden shed. If you have a preferable delivery slot, please get in contact and we’ll try to accommodate your needs. 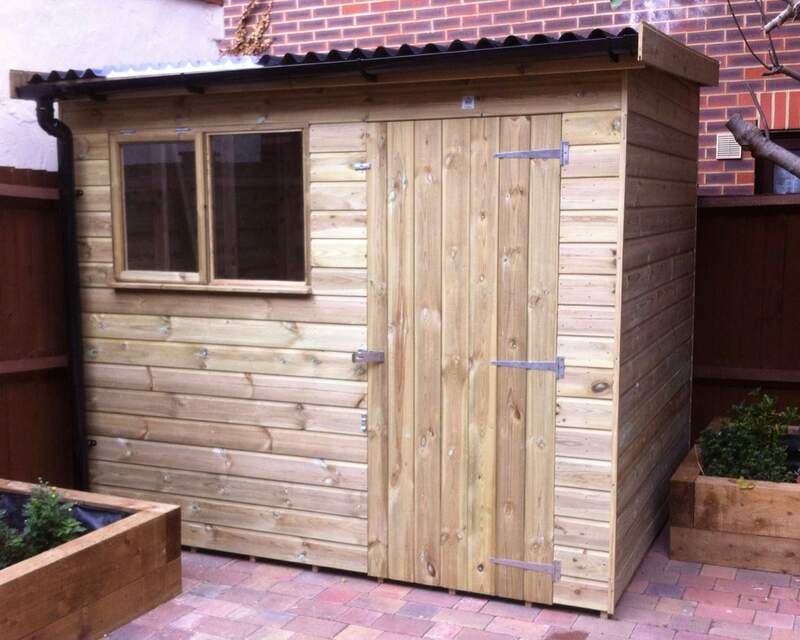 If you’re a DIY enthusiast and want to try your luck at installing your own garden shed, we will be more than happy to deliver the shed and leave the rest to you. If you would like more information about products or services, please do not hesitate to get in touch online or contact us on 01233 822042. 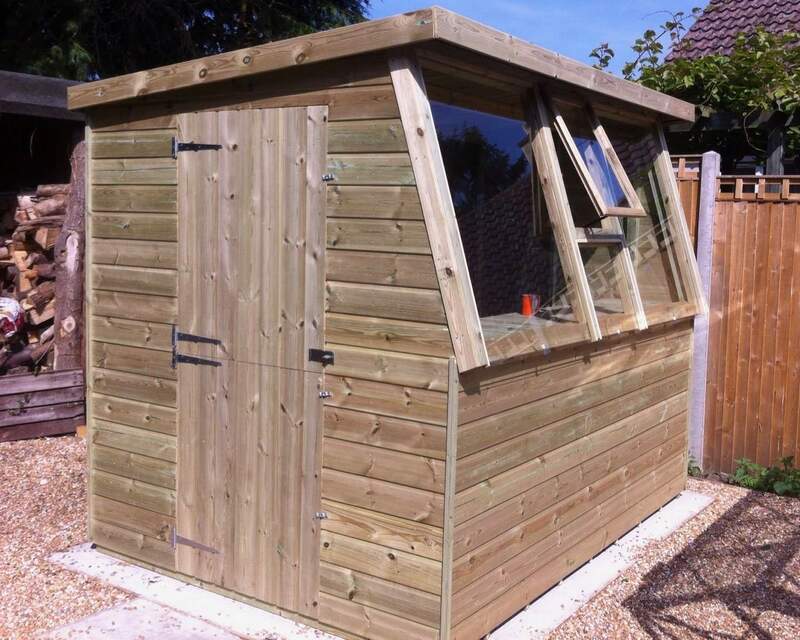 If you would like some shed inspiration please check out our customer gallery or visit us at our showroom to see our garden sheds in action.